Sharon worked as a Patient Administrator / Clinical Assistant for a private diagnostics clinic before joining Autus. Her background however is in Education, her last role being behaviour coordinator. "Making the initial call following a referral. Talking with the client about their hobbies, interests and goals." "Jogging, reading and listening to music; and more recently, spending time with my Grandson." Since moving to the UK in 2013, Dawn has worked with Hao2 then AUTUS as a Learning and Development Manager and has facilitated projects, developed materials for training, delivered training programs and contributed to the organisation’s innovative development using immersive platforms. As AUTUS has continued to grow Dawn has been given additional responsibilities in November 2017, and now also contributes to the day to day running of the charity with the CEO. "The experiences that give me the most pleasure are when learners tell me I 'get where they are coming from'." "My hobbies are drawing and painting, interior design, theatre, opera, poetry, entertaining friends and 3D virtual worlds." Donna helped set up Autus, and so has been around since January 2013. Her role includes Management, Fundraising, Quality Assurance and Programme Design. She also gets to work directly with our service users because she is a qualified trainer and NVQ Assessor. "Supporting our clients and helping them to identify and achieve their personal and professional goals." "Reading historical fiction - I can't get enough of it! And trying new foods (unfortunately can't get enough of that either!) as well as doing outdoor activities with my family." Gina manages the delivery of Autus' training and skills development programmes and leads the team of mentors and volunteers. She has more than 25 years of experience in personal development, coaching, and training design and facilitation so the role fits in well with her knowledge and background. "The challenge of creating new learning experiences to meet the needs of the learners." "My hobbies are writing, and enjoying nature, cooking, gardening and yoga." Ross is a multi-disciplinary artist, musician and qualified teacher who has worked with Autus and its affiliates in a variety of capacities. He has experience with both formal and informal educational settings having developed successful technology-based courses for a wide age range, as well as providing pastoral care within a thriving modern school and as a former member of the Hampshire Youth Services. Ross also works in a freelance capacity on commissioned 3D design work for virtual worlds. "I am looking forward to working with new learners as a Session Leader and utilizing my creative and technical skills to support them on their journey." "My passions include 2D and 3D art, photography, music composition and furthering my own studies across many areas." Helene (Kitty) joins Autus with over 20 years experience in Virtual Worlds. A session leader, Kitty develops and implements programs designed to enhance the virutal users experience and improve their knowledge base, while also improviing interactive and social skills. The core of these sessions aim to help the learner gain confidence in their abilities to be independant. James first got involved with Autus after being directed to their 'videogame design course' by the job centre back in 2014. It turned out there had been a misunderstanding of just what 'virtual teaching environment' meant, but having enjoyed the employability course nonetheless he went on to do work experience with the IT team at Hao2.eu Ltd before becoming a volunteer for Autus. Since then he has mentored, done website maintenance and any other task might come up. "The written element! It might seem a bit boring but as an English graduate I really do enjoy getting to tinker with the text being put up on the website and so forth. Well, that and the technical side of things; the workings of a virtual world are absolutely fascinating." "Computer games. I know that sounds a bit silly, but besides playing them I enjoy following the industry as a pastime and sharing my experiences and thoughts with friends and anyone else will put up with it. I also enjoy reading and writing." Before working for Autus James was a Young Ambassador, florist and barrister assistant for Tomorrow’s People Trust. As a young person he discovered a passion for helping others in the virtual and physical worlds. He met the Hao2 team at a Digital Inclusion event and shortly after undertook one of their virtual world programmes called 3D Connections for Work. He accomplished a lot on this course, and ended up securing part-time employment teaching and supporting users. As an Autus mentor he has helped run projects where people develop skills for employment using our 3D virtual world. He currently leads the weekly Job Club. "Understanding and getting to know the reasons why people do what they do, and helping them on the right path to discovery of their abilities and talents." "Massive gamer at heart, fitness (due to losing 50kg in weight), helping people and drawing." Adam has been working with Autus for around five years now, and has participated in programmes and workshops in the real and virtual world. He feels his skills are in 3D modeling and scripting using the virtual world platform. He is now working for Autus on an internship and gaining more skills relating to office work. "In my spare time I play games, do horse riding, go to the cinema, galleries and exhibitions. I am interested in pursuing a career in games development and design as I am a creative person and would also like to take forays into other, related fields." Jo works for Autus on a part-time basis. She is an experienced Learning and Development Consultant specialising in identifying learning needs and sourcing appropriate learning initiatives. Jo’s work with Autus involves learner progression and employer engagement. She connects service users with employers to create opportunities for work experience, apprenticeships, volunteer work or paid employment. "To make a successful partnership between service users and employers which can work out to be mutually beneficial." "Reading, dancing, music, baking and having fun with family and friends." As our ambassador, Nathen represents Autus at meetings and events. He gives talks to organisations and employers about autism, what Autus does, and the benefits of using our virtual environment. 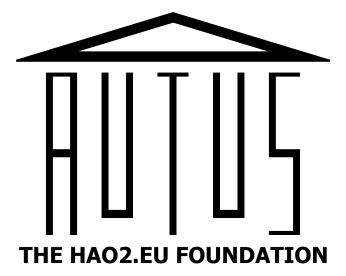 He attended college for two terms and applied for some jobs, but nothing came in before his work with Hao2 and Autus, the Hao2eu Foundation. He has done some courses and work experience, and worked his way up to his present role. "I do like the many people I talk to, especially seeing their reactions to what I say about how 3D technology helps me. I also enjoy using my personal 3D space - I am free to build what I want." "Gaming, anime and manga pretty much take up the rest of my spare time."